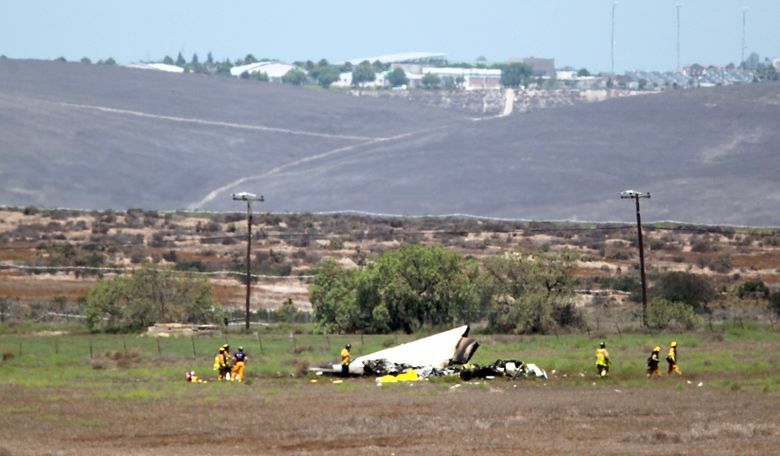 SAN DIEGO (AP) — The pilot of a small plane who was killed in a collision with a small jet over Southern California was an executive at San Diego chipmaker Qualcomm, Inc., authorities and the company said. 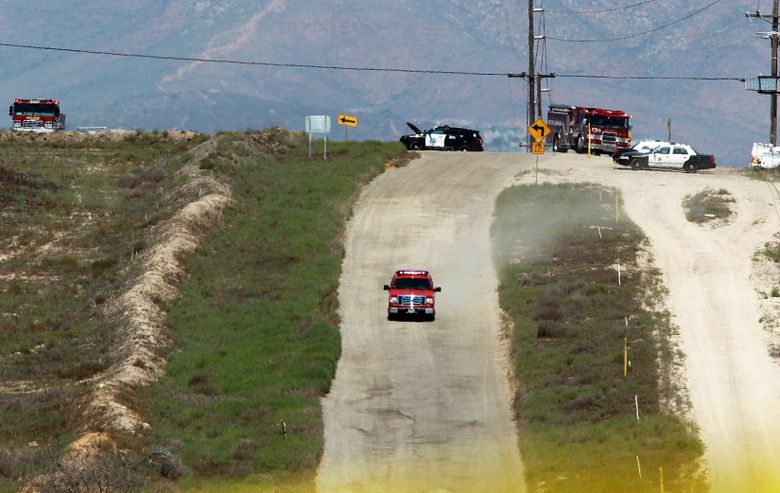 Michael A. Copeland, 55, was the pilot and lone person aboard the Cessna 172 that crashed with a Saberliner jet near a small San Diego County airport, the county’s medical examiner said in a statement Tuesday night. Copeland had worked as a senior marketing manager at Qualcomm since 2008. Copeland, an Illinois native who had worked for more than 30 years as a professional writer and marketer, is survived by a wife and two children, the San Diego Union-Tribune reports. 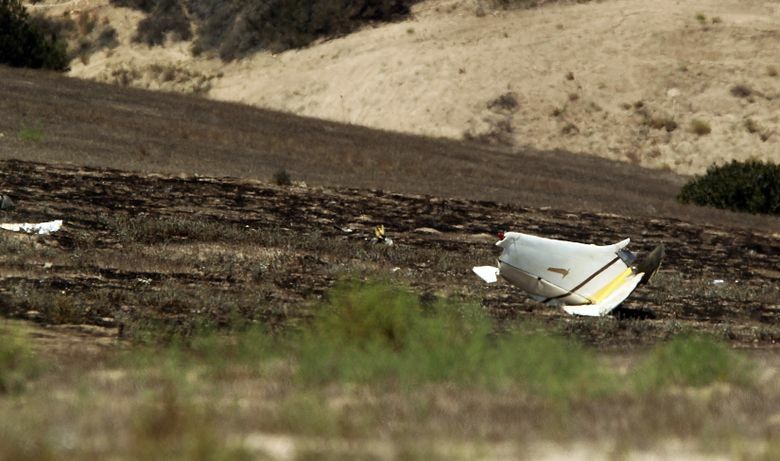 His Cessna collided with the fast-moving, twin-engine Sabreliner jet near a small San Diego County airport on Sunday. 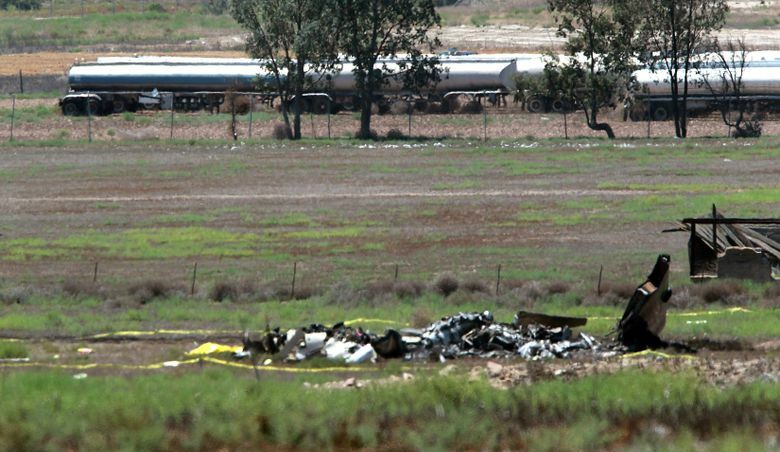 Copeland and all four people aboard the jet were killed. Copeland was practicing “touch-and-go” landings at Brown Municipal Airport, authorities said. That’s when a plane briefly touches down, and then immediately increases power to take off again. The jet was carrying contractors and returning from doing work for the Navy. Both planes caught fire when they hit the ground and broke apart. The National Transportation Safety Board is investigating the cause of the collision in a probe that could take as long as a year. Three of those killed on the jet were employees of military contractor BAE systems: Carlos Palos, John Kovach and Jeff Percy. A fourth has not been identified.